A recent transplant from San Diego, Chor Boogie is making a name for himself in San Francisco. From his studio in the Mission District on South Van Ness he creates original pieces with spray paints and bold colors. The artist said he uses an inverted-can technique to get the intricacies of small details, and the colors he selects are meant to be therapeutic. The 29-year-old said he is happy to present a solo project after a long tour on the East Coast with the Albus Cavus collection. 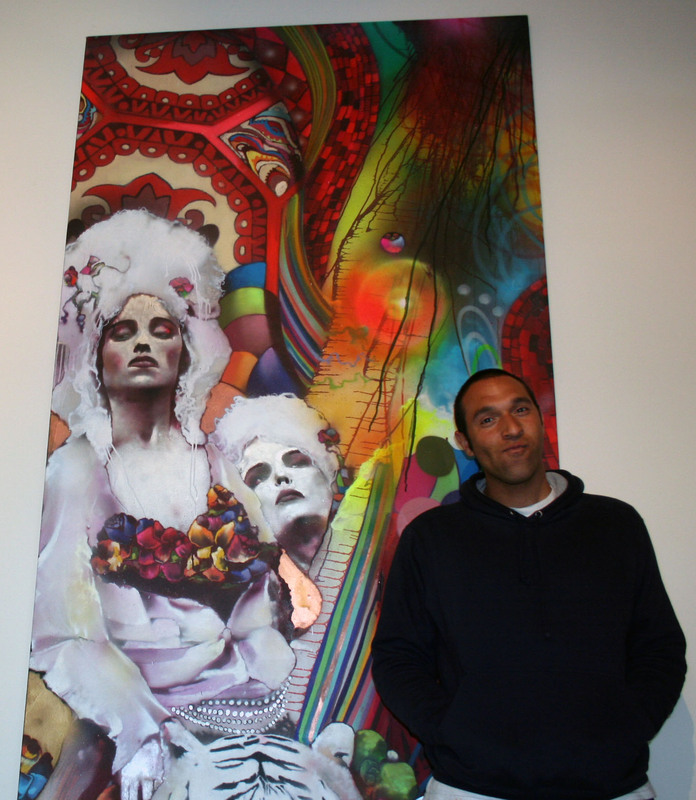 His recent show, Romanticism, will be on display at Project One Gallery and Lounge in Potrero until January 3, 2009. Mission has too much graffiti, and the graffiti creates a perception of lawlessness. I don’t like stories that make those who do graffiti look like like people to be copied. Thanks for your comment Goyo. Perhaps this wasn’t clear from the story, Chor Boogie isn’t a graffiti artist. He is an artist that uses spray paint. His work is on display at a gallery/lounge in Potrero, not illegally on the streets of the Mission District. Thanks for checking out Mission Local!